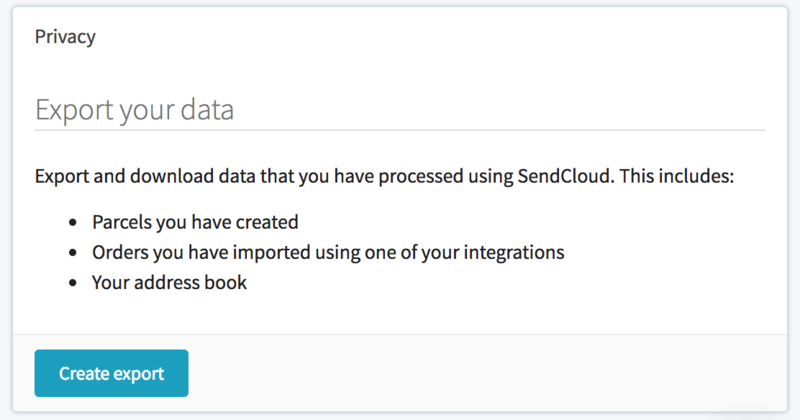 Which personal data can be exported from SendCloud? You can generate the export by visiting your account settings page. The export will then be sent to you via email to the email address you use to sign in.